I have made cake pops before, for my daughter’s birthday and other occasions. Monday, I made some just for fun after getting the Williams Sonoma catalog in the mail and seeing their Valentine’s Day treats. 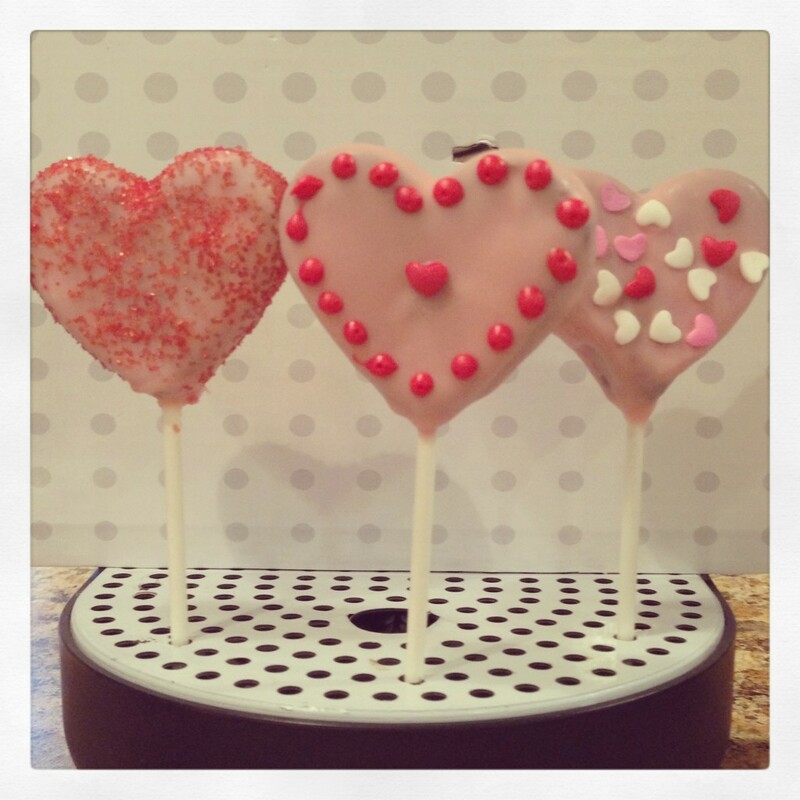 They have some really cute heart-shaped cake pops and I got inspired to make some of my own! 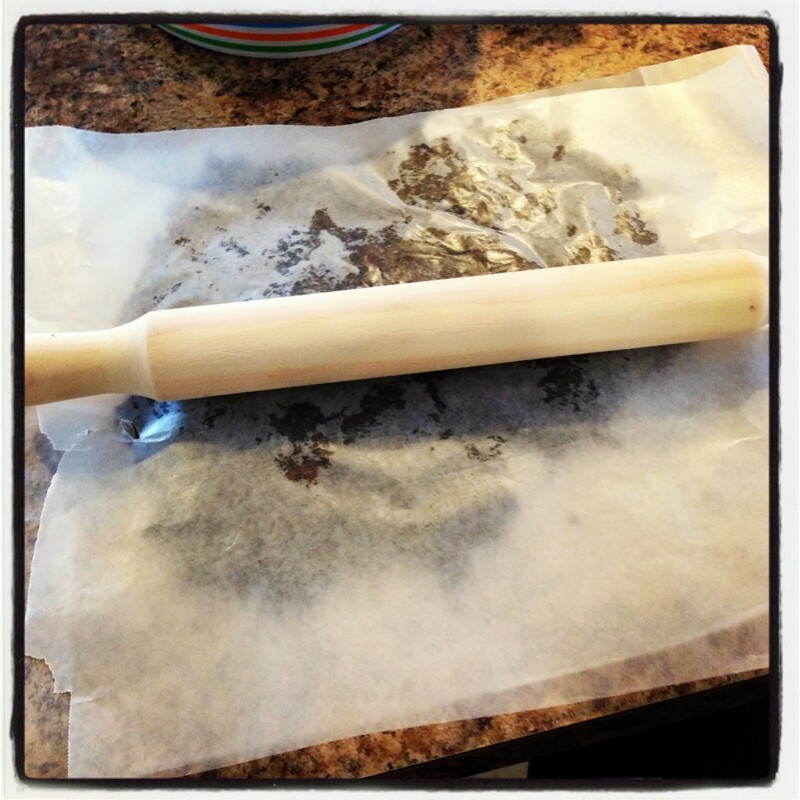 Making cake pops is very simple. 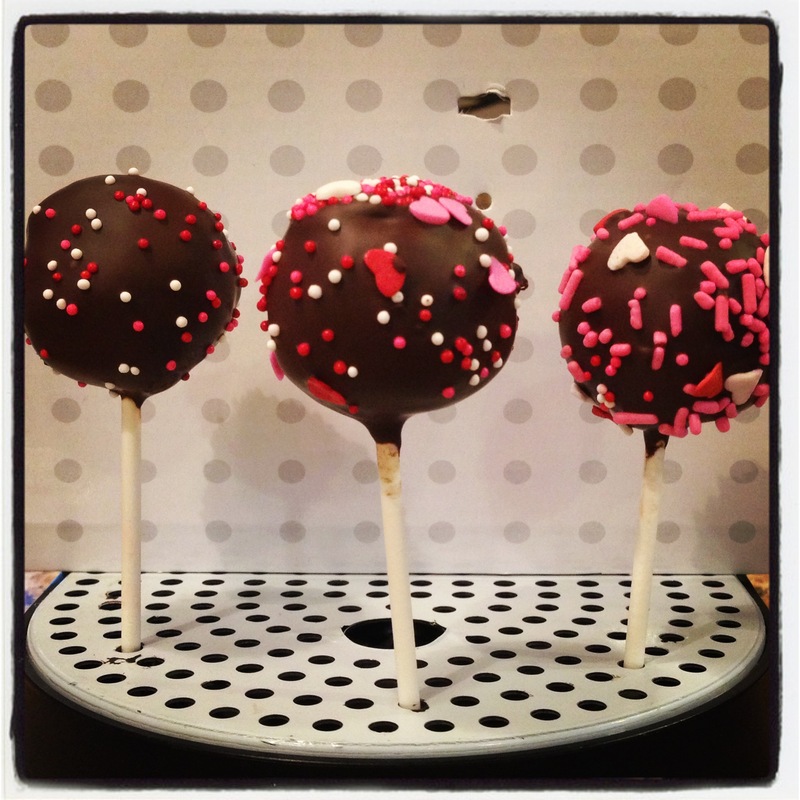 Bakerella is the queen of cake pops and has lots of examples and step by step instructions on her site. Normally, you crumble up your baked, cooled cake into a bowl, add some frosting, mix it up, and roll the cake into balls with your hands. I decided to do it a little differently this time. 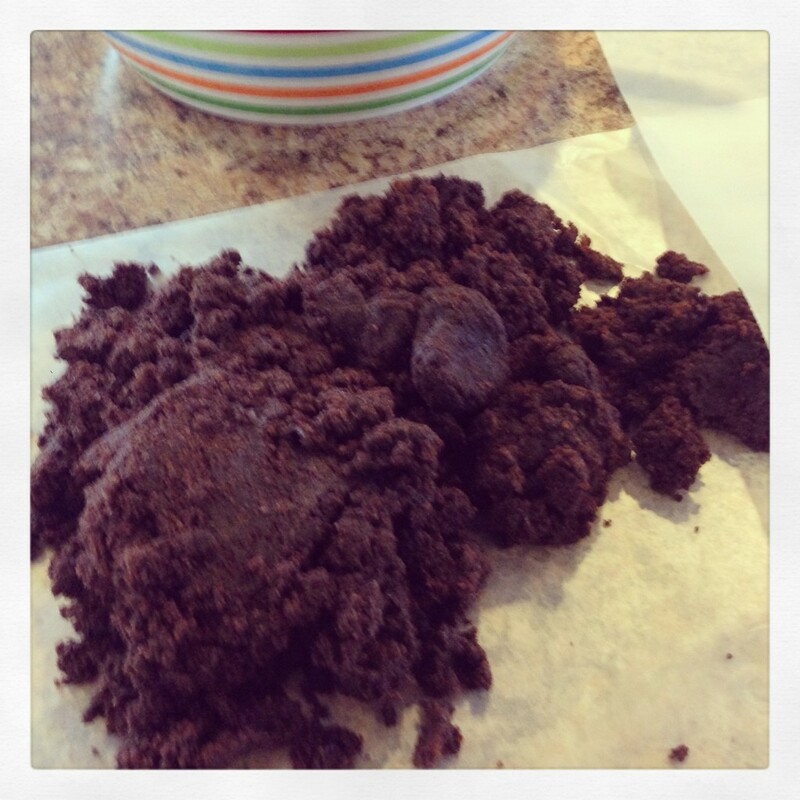 Step 1: Prepare your cake/frosting mixture and turn it out onto a sheet of waxed paper. 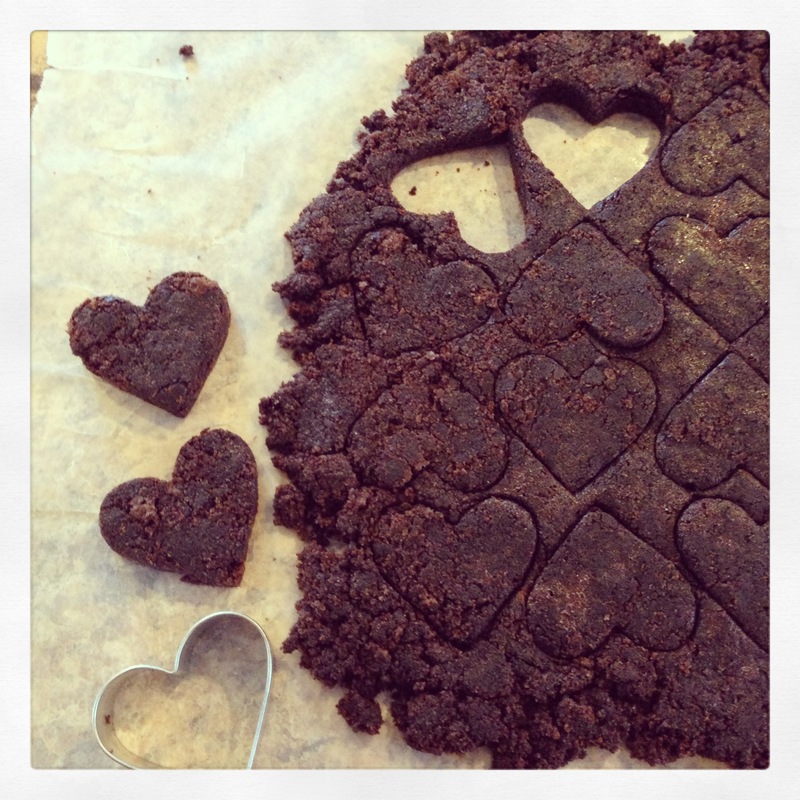 Step 3: Using a heart-shaped cookie cutter (approximately 1 1/2″-2″ across) cut out shapes from your “dough”. 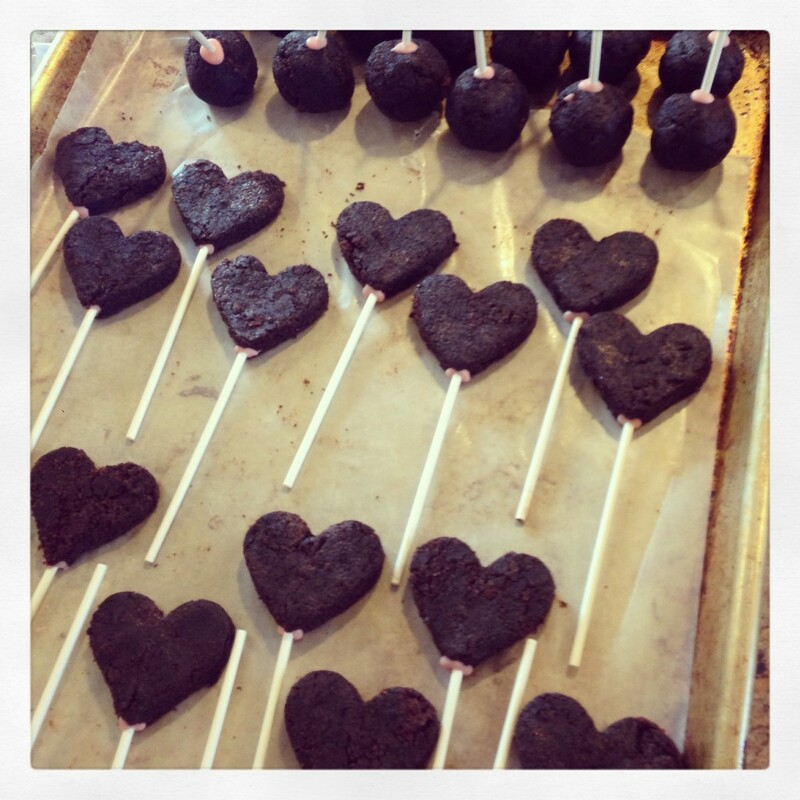 Use an offset spatula to lift the hearts out if they don’t come out with the cookie cutter. Step 4: Take your lollipop stick and poke a hole into the bottom of your heart, going in approximately 1/4 of the way up. Using the same end of the lollipop stick, dip it into melted candy coating/melted chocolate and put it back into the hole. This will help “glue” your heart onto your stick. At this point, put your cake pops into the refrigerator or freezer to firm up, 15-20 minutes in the freezer, in the refrigerator they can stay for a day covered with plastic wrap. As for the dipping process, I like to melt my chocolate in a 1 cup pyrex measuring cup in the microwave, then keep it nestled in a 2 cup pyrex measuring cup filled 1/2 full of hot water. Be sure not to get any water in your chocolate or it will seize. 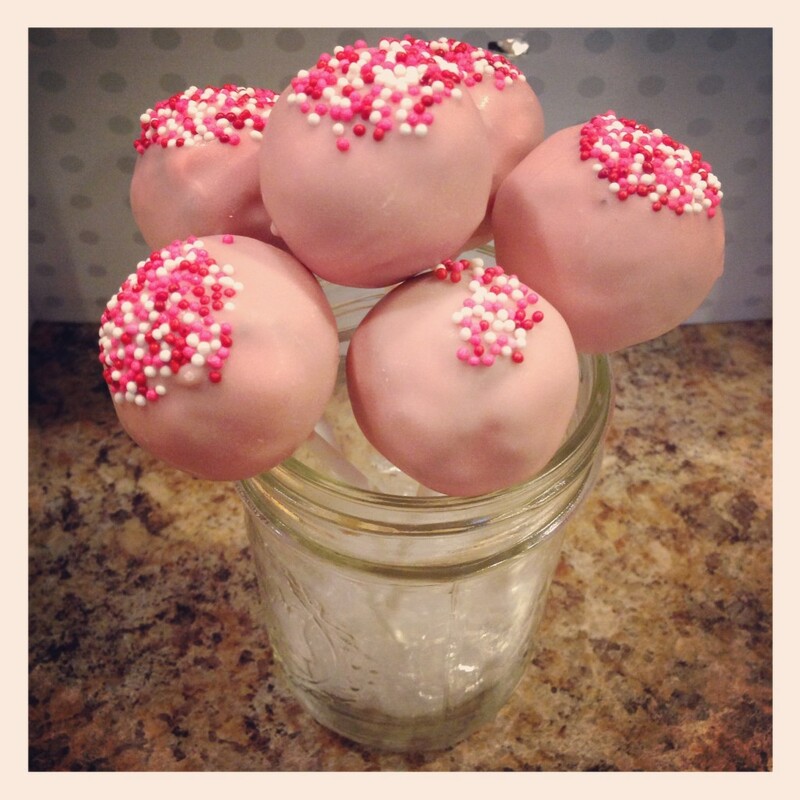 I used Wilton’s pink candy melts with a teaspoon of crisco to thin it out for easier dipping. 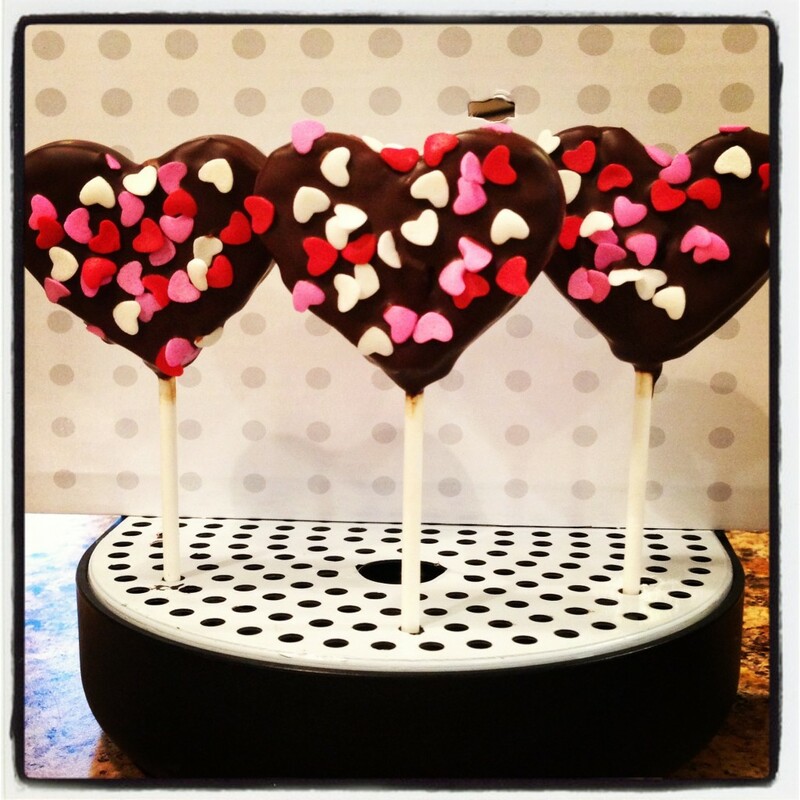 I also used Ghirardelli semi-sweet chocolate chips for the Dark Chocolate pops. For another option, I mixed some Wilton White Candy Melts with the semi-sweet chips. It was delicious! 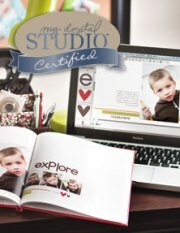 I find the Wilton Milk Chocolate candy melts too sweet for my taste. This was the perfect combination! The only thing with using chocolate chips is that they take longer to set, so just keep that in mind. I like to store these in ziploc bags in the refrigerator. They taste good cold, but you can also keep them out at room temperature just before serving. It’s also a good idea to get a block of styrofoam to keep your pops in while they set. I forgot to pick some up, so I had to improvise–used the drip tray to my espresso machine! Bad Behavior has blocked 668 access attempts in the last 7 days.